A six day seminar for IRE Teachers was organized from 5th -10th September 2011 by Bilal Muslim Mission of Kenya and International Institute of Islamic Studies, IRAN to enable them to cope with the challenges they face at the rural centres. Shk. 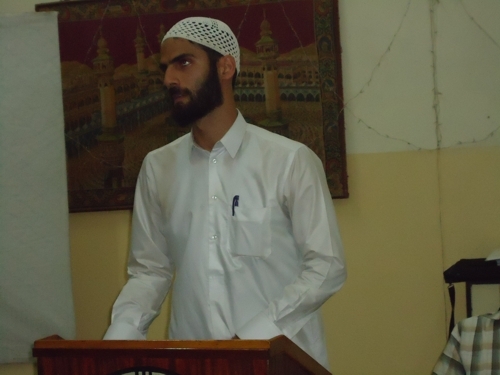 Mohammad Reza Hozoorbakhsh, currently doing PHD in Theological School and MA in International Institute of Islamic Studies, Esfahan, Iran, conducted this seminar at Bilal Hall, Mombasa. 16 IRE teachers from Bilal Muslim Mission of Kenya’s Rural Centres and 1 from HWG Centre participated in this seminar. Shk Ramadhan and Br. Ahmedali from the QASD Department of BMMK introduced the guest facilitator Shk Mohammed Reza Hozoor to the participants and requested them for self introduction. Shk Mohammed then introduced himself to the participants and explained his role as the facilitator and the approach he would use in the seminar. The participants were taken through the climax setting whereby the expectations, fears and norms of the seminar were set, workshop officers from the participants were selected as daily reporters, reciting prayers, presenting daily thought for the day etc. The workshop objectives were stated. Br Mohammed imparted the methodologies of teaching Islamic studies and covered the approaches how to integrate and harmonize the topic/content matter that is contentious to the Shia faith. He praised the teachers for using their practices of integration in teaching and imparting the information to the learners, but comprehended the difficulties of being restricted to the syllabus and approved textbooks by the Ministry. 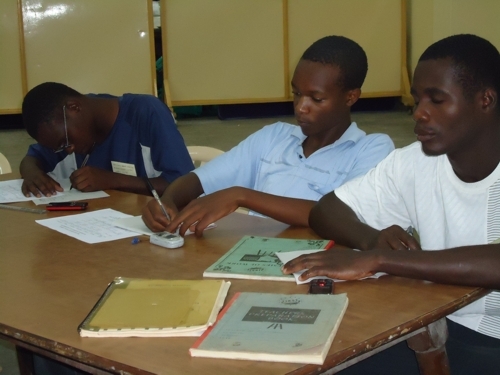 The Lectures by Br B A Ahmedali were based on International Teachers’ Charter, the Kenyan Education system, Goals & Objectives of Education, Fully equipped Teacher, Learning Objectives, Schemes of work & Lesson Plans, Indiscipline and Assessment & Evaluation. Br Ammar Nyawa spoke on the Importance of computers while Br Muhammad Merali outlined the adoption & importance of Dua Kumayl in our daily life. The Pastoral Lessons were conducted by Mulla Sajjad Bishon & Sh. Ramadhan. The Role of IRE teachers at the centre, activities and tableegh was undertaken by Ust Ramadhan Mlala and Dedication and Commitment by Ust Jamal Kasole. A special plenary session was kept to discuss the challenges faced by them in the rural areas in each of these topics and through group discussions they would find the solutions to these challenges. An ACTION PLAN was prepared on the final day of the seminar by the Muballighs as the way forward using the SWOT analysis method setting targets, deadlines and indicators to ensure that information and the skills that had been acquired during this seminar would have a positive impact on the Tableegh work conducted in the rural areas. Comments from IIIS, Chairman BMMK, Facilitator. Alhaj Abbas Nasser, Chairman BMMK, Br. Shamsher Mawji, Vice Chairman, Br. Muhammad Merali, Managing Committee Member were present at the official closing in ceremony along with the BMMK staff, Shk. Mohammed Hozoor and the participants. 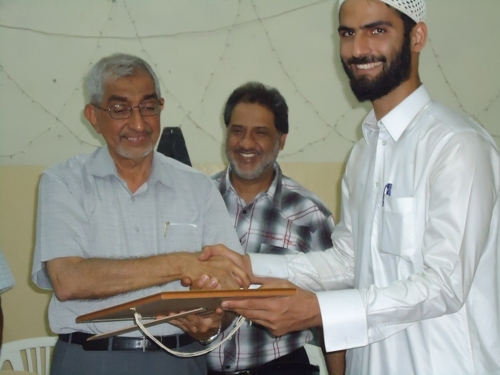 Alhaj Abbas Nasser, presented a token of appreciation to Shk Mohamed Hozoor for having facilitated this seminar. Certificate of Participation was awarded to all the participants. Br Jaffer Achui, IRE teacher, Samburu Secondary School, presented the vote of thanks. According to Mr. Mshemanga Hamisi, the seminar was worth attending. He says, “IRE Seminar held on Monday 5th-10th was the best ever attended by me on Educational issues. It helped me move closer to Allah, grow spiritual wise, advance in teaching ability and method, how to handle the pupils well and how to be the best IRE teacher. These workshops should be done now and then”. Bilal Muslim Mission of Kenya would like to thank the International Institute of Islamic Studies for extending their help and assistance to propagate the Madhab of Ahlul Bayt (as).